that gives you great results. Running a practice or a business can require you to deal with a vast array of specialties. As marketing specialists, we’re here to help keep you focused on what you do best, so that your business can continue to grow. By investing in our proven promotion and marketing research, analysis, strategy, and production, your business has the best chance to grow with very little risk. We’ll research your closest competitors in your area and analyze the data to determine the best strategy to elevate your business to the top of the correct niche, and keep it there through our innovative promotional tactics. In order to optimally push your business to the forefront of your local market, you must first ensure that you have a very clear and identifiable brand for your products and services. Branding, the art of creating a universal symbol that identifies your business, is essential to the success of your business because it helps to make you more well known and remembered as well as to differentiate it from the competition. Marketing is a visually focused practice, and you will find that your ideal target market will respond most to logos and branding that represents their interests. The more consistent a brand is and the repetition of it through various forms of media, the more likely a customer is to recognize it. Your logo is derived from a thorough understanding of your image and the “feel” you are trying to project. Once established, it sets the colors and style for all your company promotional materials thereafter. Cook Profitability Services’ marketing and promotion team can help establish and define your brand with powerful company logo designs, business cards and letterhead so that your business is presented in the best way possible. Communication with customers new and old is vital to the long-term success of any business. Direct Mail and Newsletters, working with our market research and analysis services, are an efficient and affordable way to communicate with new and existing clientele. Sending out attractive, well-designed Direct Mail Postcards, Pamphlets, Brochures, and Newsletters is a great way to hit the target demographics you want, near your business. Mailing list purchases, complete with effective market research can help optimize your targeting. Supplementing your informational content with valuable offers and specials is the key to effective mailing conversion, and bringing in the new and repeat customers. The marketing and promotions team at Cook Profitability Services knows how to create elegant, well-received Direct Mail and Newsletters that not only present your business well, but bring in lots of new patients or clientele while encouraging them to keep coming back for more service. Are you looking to promote your businesses products and services at a local event, convention, or in your own office? Cook Profitability Services marketing and promotions designer can help by designing a beautiful and informative brochure, poster, or banner that will leave customers knocking on your door. 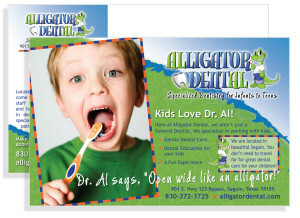 Each and every brochure, poster, and banner that we create is designed to match your businesses overall branding theme so that your look stays consistent, and your customer base is always fresh. We meticulously research every aspect of the design process so that we push the message that best interests your target market, and brings in the business that you deserve. 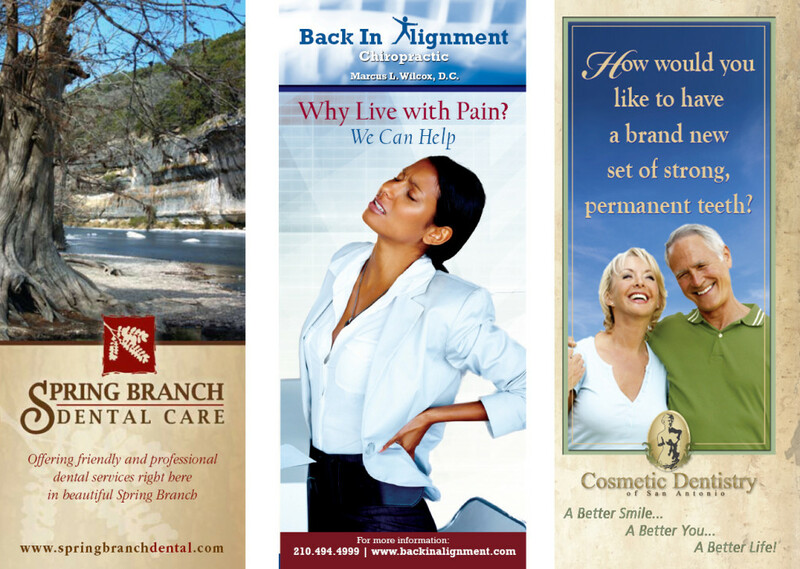 Brochures can be designed, printed and well placed for uses other than mailings, such as brochure stands in local businesses or included with other materials. Whether you choose brochures, ads or inserts in local publications, newspapers and magazines, flyers for distribution in busy areas, billboards, and more—Cook Profitability Services’ marketing and promotion team can handle all of your print advertising needs! Our gorgeous, custom-crafted designs are optimized to fit your businesses overall branding theme, and offer the flexibility to tie into all aspects of your business and your marketing campaign. With our custom advertising strategies and ad design, you can affordably reach mass amounts of potential customers quickly. Cook Profitability Services offers a variety of advertising products for your business, including coupons, coupon book entries, flyers, billboards, and newspapers and other publications. We pride ourselves in being economical and effective. Find out more about out Internet Marketing.